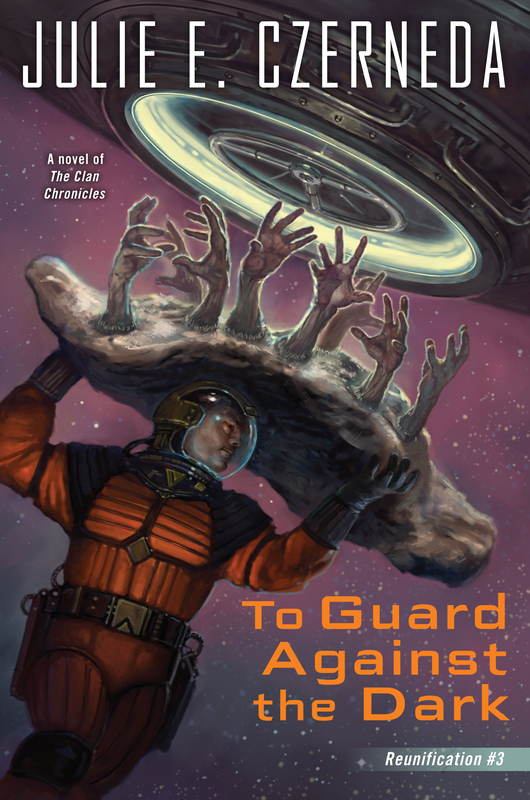 This review is part of the #GuardAgainstTheDark blog tour! To learn more (and enter a give away! ), click here. Thesaurus.com has been no help whatsover. What’s that word for when a long series that you are emotionally invested in has come to a close, and while you’re sad it has ended, you’re happy because you can just pull the books off the shelf and visit the characters anytime you want? I feel certain German, or perhaps Norwegian has a word for this. To Guard Against the Dark has been 20 years in the making. It was 1997 when Julie Czerneda published A Thousand Words for Stranger, the book that started it all. The year I graduated high school was the year her novel A Thousand Words for Stranger came out, the year the world met a species that was in danger of breeding itself out of existence. 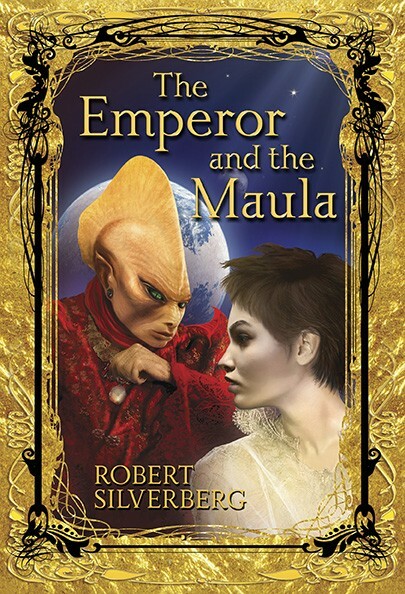 Their lives a secret, their homeworld unknown, the Clan hid in plain sight, amassing fortunes and enemies. Three trilogies and twenty years later, here we are. Does that mean You need to read all eight books that came before this one to enjoy To Guard Against the Dark? Certainly not. This is, however, book three in this particular trilogy, so you will want to read the two preceding books. 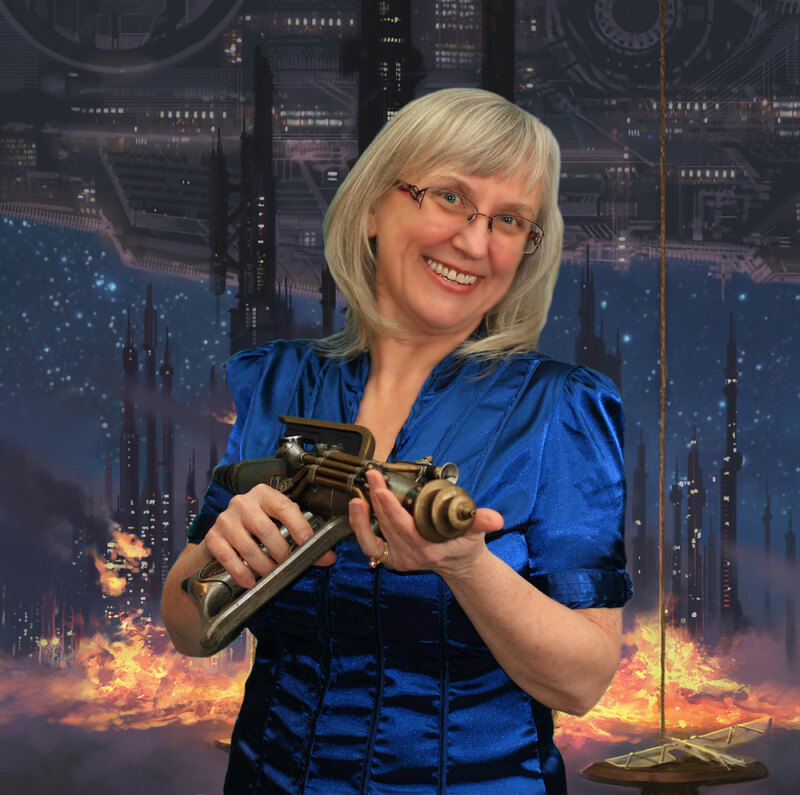 You’ll be in good company, as I came to this series myself by starting at This Gulf of Time and Stars, which is the 1st book in this trilogy. If right here, right now, is the first you have ever heard of this series, you are going to feel a little lost reading this review. It won’t help you newbies very much that there are a ton of intertwining plotlines in this climactic last novel and I am trying my hardest to avoid major spoilers. But minor spoilers? Sorry, unavoidable. Continue at your own risk. 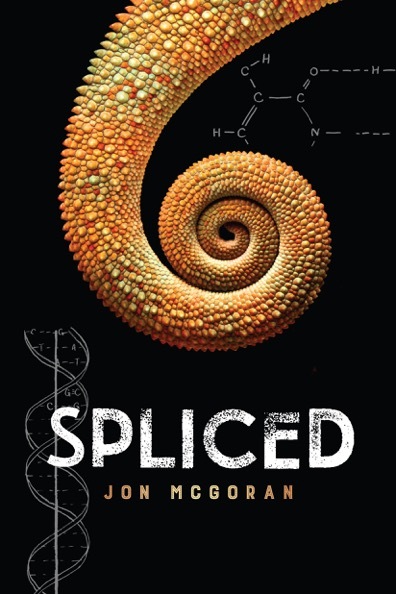 In Jon McGoran‘s new novel Spliced, the newest bio-hacking trend is a dangerous form of permanent body modification. Who needs piercings or tattoos, when you can get animal genes spliced into your own body? This thrilling novel follows teenagers Jimi and Del as they fall deeper than they ever expected into the world of the spliced. The rich can afford legal and safe splices, other who want the procedure go to illegal back alley clinics. And just imagine the political backlash! Are these genetically modified people, known as chimeras, superhuman? or are they no longer human, and no longer deserving of human rights? Paste Magazine named Spliced one of the ten best YA books in September, and Booklist calls Spliced“suspenseful and scary…timely [and] thought-provoking”. Spliced hits bookstore shelves on Sept 29th, and the audio book, narrated by Sophie Amoss, comes out the same day. 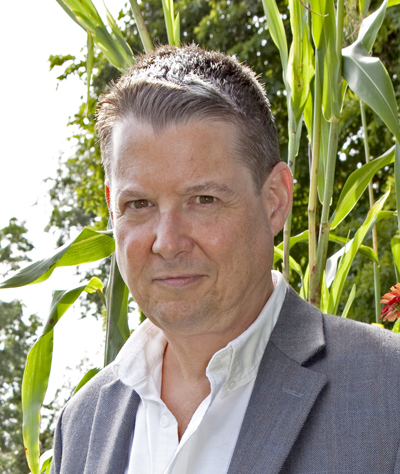 Jon has been writing about food and sustainability for over twenty years, and when he’s not writing and publishing non-fiction and satire, he writes eco-thrillers to play with ideas about how all easily all our technological advances can go horribly wrong. Because, well, we’re only human after all. Jon was kind enough to let me pick his brain about Spliced, The Philadelphia Liars Club, his work in ecological sustainability, and more. And speaking of Philadelphia, if you live in that city you can attend the Launch Party for Spliced, Oct 6 at Parkway Central Library. Click here for more info. Little Red Reviewer: Your new novel, Spliced, is a thriller that revolves around the trendiest underground body modification of having animal genes illegally spliced into humans. Why would someone want to have animal genes spliced into their DNA? Do I get a cat’s night vision, a rattlesnake’s venomous bite, the regeneration abilities of a starfish? Sell me on why someone would want to do this to themselves. 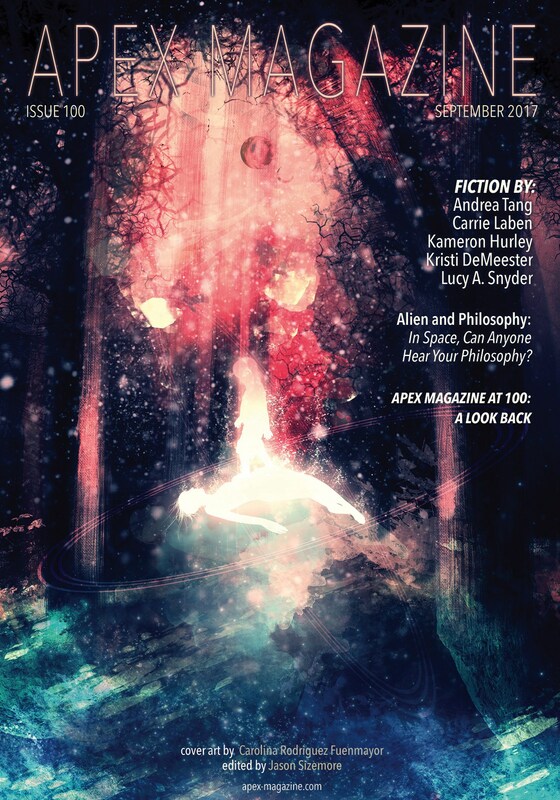 Jon McGoran: Even in the book, the science is still pretty new, and for the most part, the people doing the splices, the ‘genies,’ are amateurs, so you don’t always know what you are going to get. The effects are generally superficial, although sometimes profound. Some chimeras do pick up other traits from the animals they are spliced with, but it’s not like a super power. As to the reason why someone would do it, that was one of the questions that I thought was most interesting when I first came up with the idea for the book. I knew people would do this, and I do believe they probably will if it becomes possible like it is in the book. There are all sorts of body modifications out there, from tattoos and piercings and gauges to some that are much more extreme and elaborate. So part of the reason would parallel why people get those modifications. But with something like this, there would be as many reasons to do it as there are people doing it. For some it is a fashion statement or a symbol of rebellion, for others it is solidarity with the Earth’s rapidly dwindling wildlife, especially the species that are endangered or extinct. And some look at what humans have done to the Earth, and at times to each other, and they want to make it clear, on some level, that they don’t agree with what humanity has become.